Who will it be?! The Eagles? Or the Patriots? The Superbowl LII is coming on February 4th at 5:30pm and we want you to get in on the game (no, not literally) with some exciting super bowl ideas for kids. 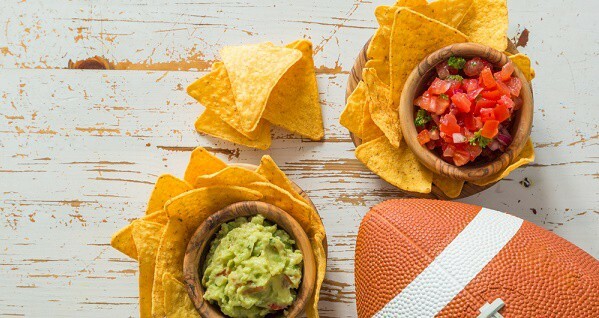 We’ve got ideas for your super bowl parties, game fun, and more today on the blog. The Super Bowl is an annual event that many people get in to. They host super bowl parties with friends, spend the day out at local bars or restaurants or attend the game live. The plan changes if you have a family and you don’t want to hire a sitter for the afternoon. I have put together some family fun super bowl ideas for kids that everyone can enjoy. If you have friends with kids then you can invite them over so all the kids can play together while you watch the game. Bonus points if one of your friends has a teenager that can help supervise! A family party is a great way to enjoy the game. Get your kids involved in the planning. They can help prepare snacks, make decorations, and find some party games, trivia or crafts for everyone to do. Play Flag Football before the game! We all know that Superbowl snacking doesn’t always provide the healthiest options for families. Burn some energy before the game with a family fun game of flag football. Host a Super-Side-Dish-In-A-Bowl Cooking Competition! Have your guests bring fun side dishes that the whole party can vote on during the game to add a little fun into the mix. Plan Ahead with Superbowl Print Offs! Plan for Superbowl bingo with a FREE print off to use for guests! The local bowling alley is a fun way to spend time together, watch the game and have an activity that everyone can do or just to keep the kids busy. Your local bowling alley may even have a watch party already planned! Pro-Tip: Summit Lanes in Lee’s Summit has a coupon for bowling for four, dinner, and drinks for only $35! Before the game, if you want a way to burn off some of those party calories in advance you can sign up for the Super Bowl 5k or 10k virtual race. As a family you can sign up and run or walk anywhere that you enjoy and earn a great medal for your hard work! If you are like me and you don’t really care too much about the game itself, then you can have a commercial and half-time show watch party, enjoy your snacks and play board games as a family for fun during the game. Next story MLK Day 2019: Celebrate & Honor Dr. Martin Luther King Jr. Previous story Mary Poppins Returns Movie Review: How Was the Remake?